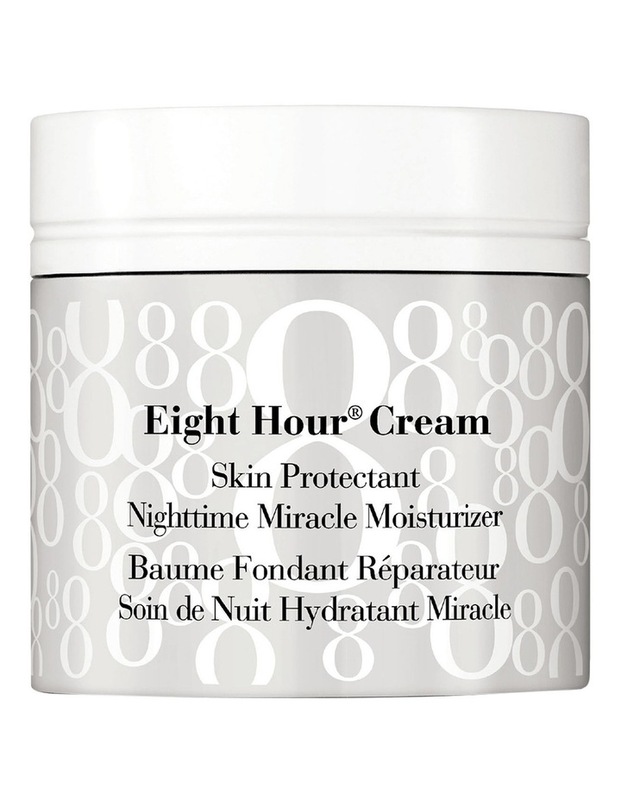 NEW Eight Hour Cream Skin Protectant Nighttime Miracle Moisturizer is a unique lavender-scented crme-gel that deeply moisturizes, protects and soothes dry skin overnight. Wake up from the ultimate beauty sleep with soft and supple skin that looks and feels refreshed. Key Benefits Intensely moisturize, protect and soothe dry facial skin immediately and overnight Seals in moisture overnight as it rebalances skin during the nightly restorative process. Lavender essence soothes your skin and lulls your senses for up to 8 hours of restorative beauty sleep. Light formula for fast absorption, even distribution, easy application and spreadability. Key Ingredients Provides the same benefits as Skin Protectant Petrolatum soothes, nourishes and seals in moisture. Salicylic Acid gently exfoliates for smoother, softer skin Antioxidants to protect skin from free-radical damage. Lavender helps to relax and soothe the senses Non-comedogenic.